Bold metallics are a popular choice, but if you prefer a subtle shimmer, our silver Vertical blinds are the way to go. We’ve lots of lovely shades to pick from, so you’re sure to find something ideal for your home. Our fabrics feature a hint of gorgeous grey, for a relaxed yet elegant look. Silver Vertical blinds provide lots of lovely light, without compromising on privacy - to achieve your perfect balance, tilt the louvres open to let some sun in while keeping prying eyes out. And the good news about silver Vertical blinds is that they’re also great for awkwardly shaped windows, including sloping ones, bays and bows. With so many beautiful options in our range, it can be tricky making your mind up. But here at Hillarys we like to make your life as easy as possible. Simply book a free home appointment and one of our expert advisors will visit your home with our complete silver Vertical blinds collection. Once you’ve found your favourite design, we’ll take care of everything for you. Your advisor will measure up and provide a no-obligation quote to consider. 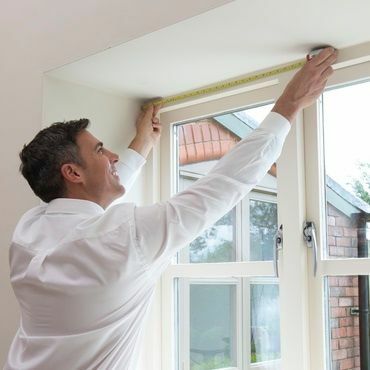 If you decide to go-ahead, they’ll return to fit your Verticals blinds at a time to suit you.